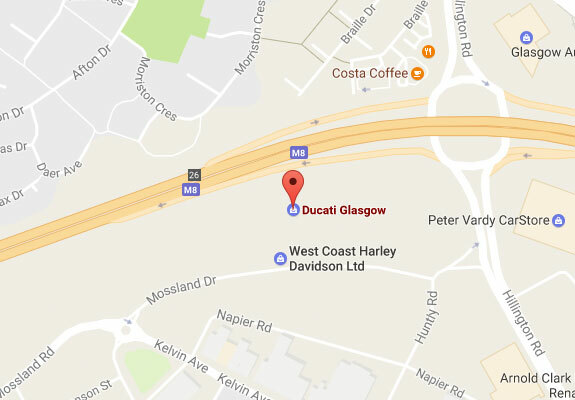 At the tail end of 2001, when Glasgow found itself without any Ducati Dealer, our then owners, Roger and Martin saw an opportunity that simply couldn't be missed. Good friends for about 8 years prior to going into business together, it seemed an ideal partnership to combine their respective talents and try to bring a life long passion they both shared into Scotland. After about six months of pulling together a large number of local resources and a lot of seriously hard work from new staff and family members, Ducati Glasgow phase one (showroom one and workshop) opened its doors in May 2002.For the next few weeks the finishing touches went on to showroom two and the official grand opening with Ruben Xaus (then Ducati factory WSBK Rider) on June 29th 2002. Nearly sixteen years later we're still here, stronger than ever. Most of the original team are still here but we have now grown from just four to over thirty dedicated staff members working as hard as possible to make your ownership experience unrivalled in the motorcycle industry. We haven't stopped learning and adapting to the changes in our market. The products coming from Italy have changed so much since we first opened the doors we have been delighted to be moving with the times, and we wont stop here! As of 2012, Ducati is now owned by the Volkswagen Audi Group. Every new motorcycle released pushes the technological boundaries in today's motorcycle industry. Our relationship with Ducati grows every day, our experience gets even more comprehensive, our service to our customers gets better! If you haven't seen us for a while - please pop by, we have opened our new showroom! Our brand new showroom has been designed for purpose and with your feedback. We now have a dedicated cafe, clothing department, Scrambler Land of Joy, used bike showroom floor, workshop and MOT services at Hillington, just off the M8. 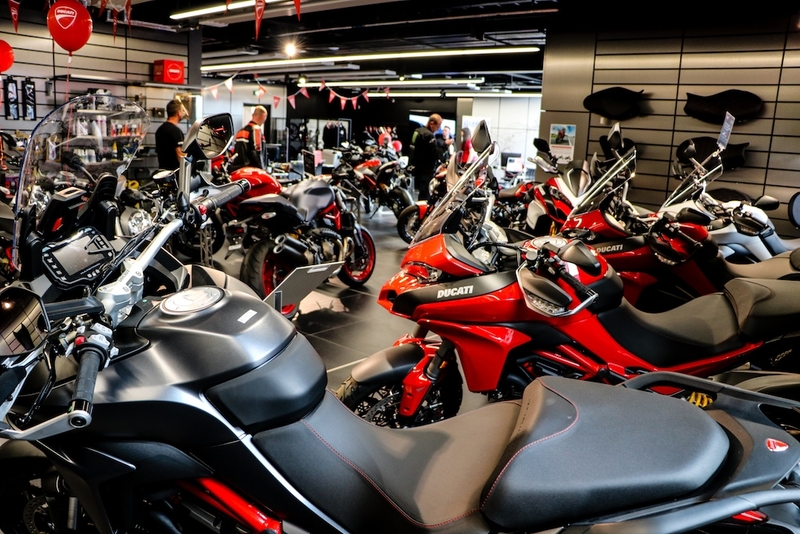 Our new dealership is the product of our £3.5million investment into the motorcycle industry in Scotland.